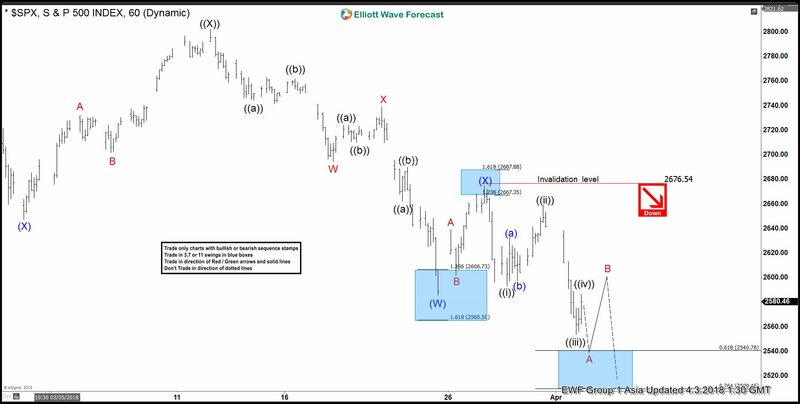 SPX Elliott Wave view suggests rally to 2801.90 on 3/13/2018 ended Primary wave ((X)). 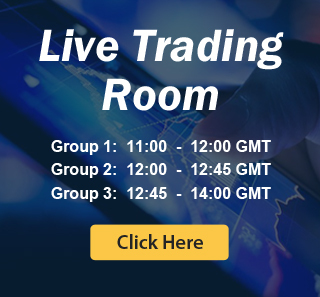 Decline from there is unfolding as a double three Elliott Wave structure where Intermediate wave (W) ended at 2585.89 and Intermediate wave (X) ended at 2674.22. Subdivision of Intermediate wave (W) unfolded as another double three of a lower degree where Minor wave W ended at 2694.59, Minor wave X ended at 2739.14, and Minor wave Y of (W) ended at 2585.89. Subdivision of Intermediate wave (X) unfolded as a zigzag Elliott Wave structure where Minor wave A ended at 2639.26, Minor wave B ended at 2601.81, and Minor wave C of (X) ended at 2676.54. Intermediate wave (Y) is currently in progress as a zigzag Elliott Wave structure. 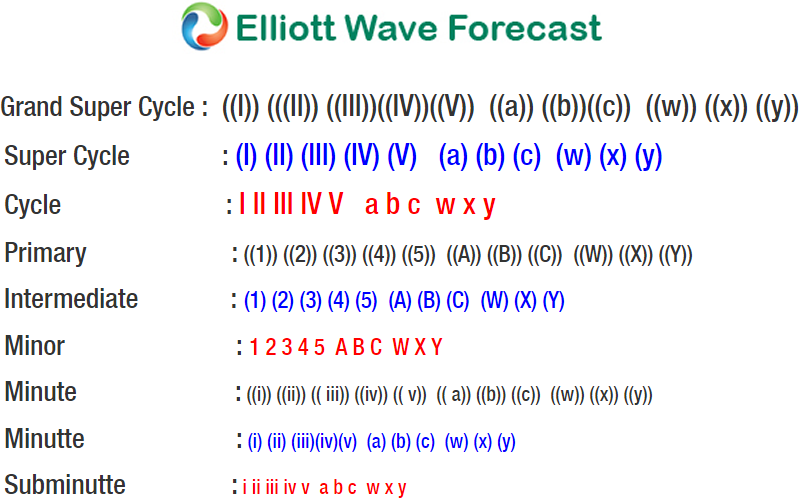 A zigzag is a 5-3-5 Elliott Wave structure with ABC label. The subdivision of wave A is in 5 waves and the subdivision of wave C is also in 5 waves. In the case of SPX, decline from 2676.54 is unfolding as 5 waves impulse Elliott Wave structure where Minute wave ((i)) ended at 2593.06, Minute wave ((ii)) ended at 2659.07, Minute wave ((iii)) ended at 2553.80, and Minute wave ((iv)) is proposed complete at 2586.38. Expect Index to extend lower 1 more time to end Minute wave ((v)) towards 2509.45 – 2540.78 and this next leg lower should also complete Minor wave A of a zigzag from 3.28.2018 high (2676.54). Afterwards, expect Index to bounce in Minor wave B in 3, 7, or 11 swing to correct cycle from 3.28.2018 high before the decline resumes. We don’t like buying the Index.